If you’ve grown tired of the large condo developments popping up all over South Florida, Parc View Villas offers an alternative lifestyle and community for the high end homeowner or real estate investor. Located in the beautiful Keystone Islands section of North Miami, Parc View Villas is an exclusive community of just 18 townhomes designed with the warmth of a small community in mind. 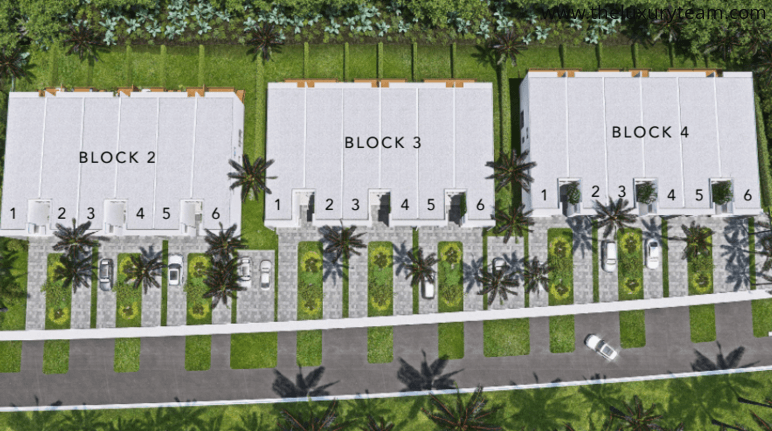 Spearheaded by developer Adina Group and partnered with Crescendo Real Estate, Parc View Villas brings the best in modern townhouse design and elegance. IDEA architects employ their scientific approach to building a structure that is esthetically pleasing and maximizes the natural landscape around the project. 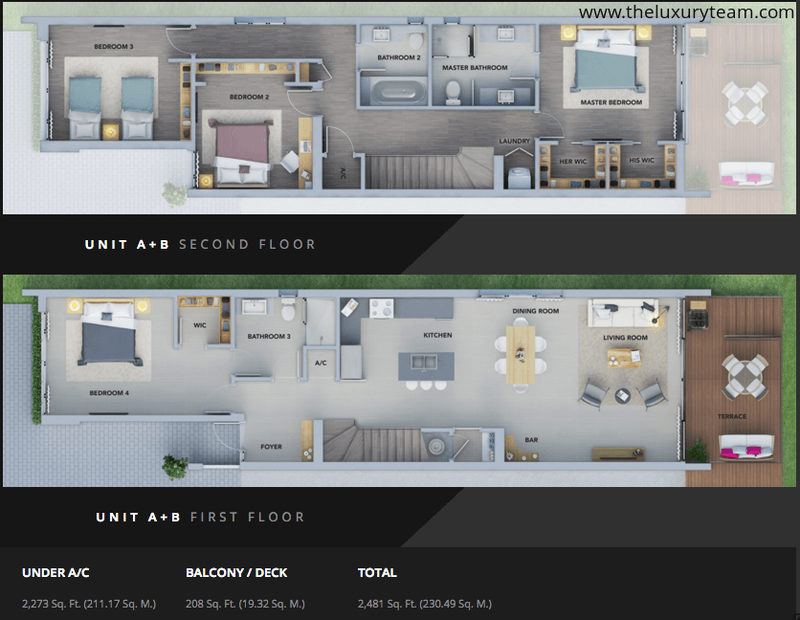 Units come in two spacious floor plans, a 4 bedroom 3 bath model, and a 3 bedroom 3 bath model. All 18 of the luxury residences available at Parc View Villas will feature 10 foot ceilings in first floor living areas and 9 foot spaces in second floor rooms. Large porcelain tiling covers the first floor interior flooring, adjacent to insulated ceiling and exterior walls to maximize energy efficiency. All windows and doors are pre-wired for security systems and motion detectors. To take advantage of the lush landscape surrounding Parc View Villas, the designers have complemented the interior with wood baseboards, railings, and cabinetry. All bathrooms feature marble countertops, designer fixtures, and a frameless glass shower door. 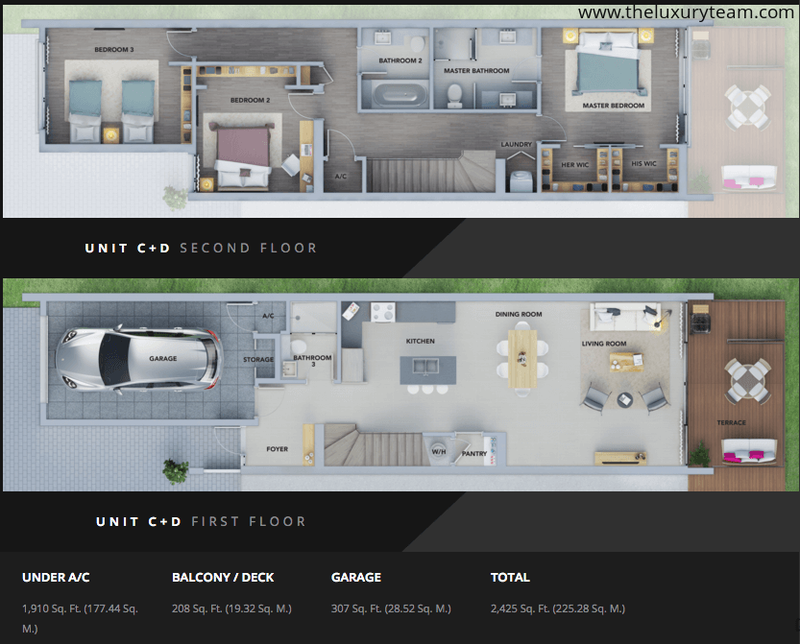 In accordance with the small townhouse feel, every community member enjoys covered parking just steps from their door as well as backyard and outdoor living space. Aluminum hurricane-resistant windows line every unit, and the yard is professionally watered and landscaped regularly. Just a stone’s throw a away from bustling Downtown Miami, Parc View Villas are tucked away on a neighboring 37 acres of parks, swimmable lagoons, and endless hike and bike trails. 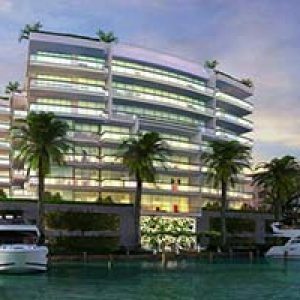 Nearby Sole Mia features a bustling shopping and retail center, and the nearby Bal Harbour boutiques offer the best in high-end fashion and design. Parc View Villas are also located close to the best medical centers and A-rated schools in South Florida. Just steps from the Oleta River and Oleta Park, waterfront recreation is at your fingertips. Additionally, the North Miami location offers easy access to some of South Florida’s top beaches including Sunny Isles, Haulover, Bal Harbour, and Surfside. Just blocks from US-1 and a short drive from Interstate-95, Parc View Villas offers easy access to both Fort Lauderdale and Miami International Airport. Don’t miss out on this opportunity to enjoy a townhouse community with all of the luxury of a big condo development!